I know you all have one, that looming pile next to your nightstand, the sinking bookshelf that can’t hold anymore, the stacks creeping up on your desk, and the ones you borrowed or were given months ago and haven’t gotten around to reading yet. It’s the dreaded To Be Read Pile! Fear not, dear Readers! Adam, from Roof Beam Reader, has made a fun and cost effective contest for all of you looking to hit that stack of TBR’s! The 2012 To Be Read Pile Challenge is your quest to complete 12 books that have been looming on your list for at least 1 year. That means the book does need to have been published in 2010 or before. You are also allowed to list 2 alternative books to your 12 in case you have one that is simply unfinishable. And yes, unfinishable is a word now. Every writer fears it. That, and clowns. Nobody writes about clowns. They’re plain creepy. Anyone is welcome to join the challenge and make their TBR list! If you care to officially join, and enter for the chance to win a $50 Gift Card to either Amazon.com or The Book Depository, then sign up at Adam’s blog! He’s also listed for you all the participants’ links to their TBR lists, so it’s an amazing place to browse new titles and connect with those reading the same ones as you! Part of the challenge is to also write up a short review of the books you’ve read, and so I’m going to share with you a few titles I’ve recently finished both on the list and off! Deeper Than the Dead by Tami Hoag: I picked this one up for my library’s book club and sadly only 5 of us showed up for the discussion that night. Even more sad was the fact that I was the only one who liked the book. For those of you who religiously read murder mysteries, I guess Deeper Than the Dead might not mesmerize, but I hadn’t read a creeper book in sometime. The premise for DTTD begins when three school children discover a dead body in the park one day. Their teacher, Anne Navarre is struggling to both interrogate and comfort her class about the serial murders that are happening. The chapters move from the point of view of Anne, the lead detective following the case, the mind of the next victim, and also the killer. Tami Hoag, a 15 consecutive time New York Times Bestselling author, set the book in the 1980’s. At first, she thought how fun it would be to reminisce about leg warmers and big earrings, but as she got into the book’s research, she realized how little we had in DNA testing, even in 1985. The book took a whole new interest as she discovered what detectives had to deal with in order to solve a crime then. I for one, give this book a thumb’s up! It was interesting to think about in terms of the advanced technology and testing we have now, and it was a super creepy read! Don’t read this book before bed! Or listen to it in the car! I mean it, it was eerie! The Piano Teacher by Janice Y. K. Lee: I just couldn’t get into this one. 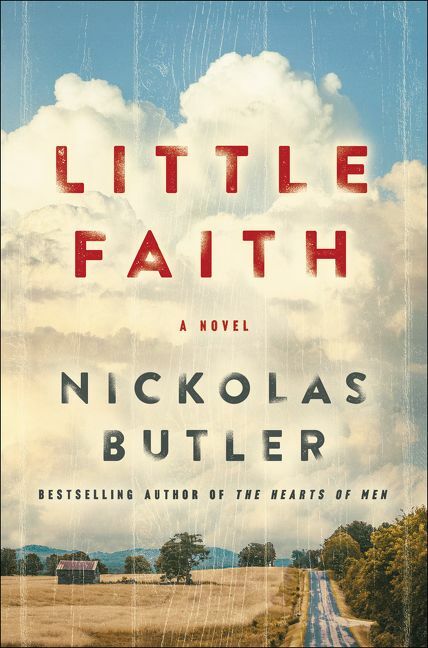 I read this title with my other book club group and I think all of us would vote it our least favorite read so far. It does have some interesting historical value, but the pace was slower and I didn’t like many of the characters. The Piano Teacher is set in the 1940’s and 50’s, and webs together multiple stories from both during the war and after it. At that time period, the British who lived in Hong Kong were somewhat of an elite society, and we are thus introduced to Claire Pendleton, bored housewife who begins an affair with the driver of the family she teaches piano for. Though I didn’t care for this particular novel, that isn’t to say I don’t admire Ms. Lee. Janice Y. K. Lee is an incredibly accomplished and intelligent woman. Born in Hong Kong to Korean parents, she attended college at Harvard University. Her first writing job was as beauty editor for Elle Magazine. While there, she sought out her true passion, the features section. She later wrote for Mirabella Magazine, and completed the Hunter College MFA program. I appreciate her dedication to her work immensely. Lee spent 5 years working on this book, setting it down here and there to raise a family of 4 (including twins). The Piano Teacher is another New York Times Bestseller and Lee’s only book so far. I have no doubt we’ll see her name in print again. 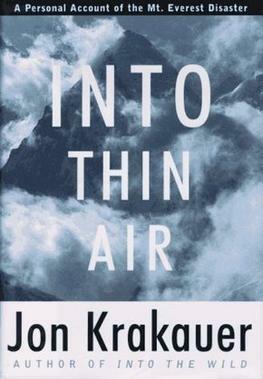 Into Thin Air by Jon Krakauer: I LOVED THIS BOOK! I couldn’t stop reading this book! It’s quite possibly one of THE best written books I’ve ever read! Into Thin Air recounts the firsthand telling of the Mount Everest Disaster of 1995 by Jon Krakauer, who was solicited to go along and write an article for Outdoors Magazine. While Krakauer’s book is illuminated with terminology definitions and historical background of the world’s highest peak, I do recommend making yourself a cheat sheet of names and what team they belong to as there are many tourists and sherpas traveling at the same time. Into Thin Air will excite the adventurer in you; you’ll want to climb Everest. However, as you read further into his journey, it becomes all too clear how little we are in control with the force of nature. It is extremely tragic what happened on this expedition and my heart and condolences go out to the victims’ families. But there were many heroes on that mountain too, who risked their lives to ensure the safety of others. As for Krakauer, he is a well known name for writing stories of great adventure and adversarial topic. Checking out his wikipedia page, you’ll see lots of retorts toward every one of his works. I’m definitely interested in reading more of his works. 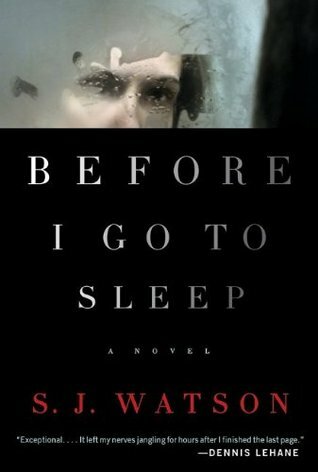 Before I Go To Sleep by S. J. Watson: Chris is a woman who wakes up every day believing herself to be 20 years younger, single, and certainly not a mother. The reality is far different. Suffering serious damage from an accident, Chris has severe amnesia. Every night when she sleeps, she forgets all that happened the day before and can’t remember much past her childhood. Except, each morning a doctor calls her and reminds her where to look for her diary, the only place where Chris can piece together her life and know who she can and can’t trust. The beginning of this book is a slower start, which is to be expected because as you read and learn clues with Chris, much of the information is repetitive. This would be the case for you if you had to start over from scratch each day. As the book progresses though, you become more and more on edge wondering who’s telling Chris the truth about her life. I’d give this book a sideways thumb, if that makes sense, because it has a lot of potential and is thought provoking. It is the first book published by S. J. Watson, an English writer and now international bestseller. He wrote the book while taking a writing course at Faber University, and based it upon several accounts of amnesiac patients and their families. There you have it folks! Adding these in, I’ve completed 7 out of my 12 TBR books so far! How far are you on the reading challenges you’ve set for yourself? What is your reading goal? I’m shooting for at least 2 books a month. You can check out what I read here. What titles are you reading right now? And don’t forget! We’re trying to help Jillian Dodd convince author CJ West to participate in her MANday blog. Find out how you can help here! I LOVE Pride and Prejudice!!! Hope you’re enjoying it! It’s never to late to read Austen! Yes, it is a wonderful book. Of course, I know the story but I am enjoying how full the old-fashioned language is. It’s a beautiful read. I love your choices, Jess. Tami Hoag is one of my favorites, though I haven’t read this one. I’m putting Into Thin Air on my TBR pile…which is threatening to topple. I already have 68 books of fiction in my Kindle, 44 fiction and 10 non-fiction books on my shelf in my office, 63 books on my shelves in my library to be read…and I keep buying more! I am in a challenge on Goodreads to read 36 books by the end of the year. I’ve read 19 so far. I think I can probably surpass the challenged number reading a total of 60 books for the year. At this rate, it will take me 3 yrs to read all of these books…that is, if I don’t buy any new ones. HA! Good luck with your challenge, Jess, and I hope you win the gift card! I’ve read every book on your list. Don’t hate me. I’m relaxing with a DEXTER right now. And I’m writing writing writing. I hope you win the gift card! Yah, I remember you talking about Little Bee. Hope to get to that one soon! And you have been busy busy busy writing; good for you! You totally earned that Dexter time out! Boy, did this hit home! I have a pile of books on the floor by my nightstand taller than my youngest child that I want to read, have been meaning to read, but somehow another book always seems to take its place! I’m in for this challenge! Welcome to the challenge! What’s first on the list? Jon Krakauer rocks. The movie version of Into The Wild is one of my favorite films and I thought deserved the Oscar in 2007 but, sadly, wasn’t even nominated. How do you spell “oversight”?? That is a great film. Did you ever watch the Into Thin Air film adaptation? I’m curious, but know it won’t be near as good as the book. I just added Under the Banner of Heaven by Krakauer to my Goodreads list, but I have this challenge list to finish first. I’ll try to squeak it in. That’s a fine list, Jess! I loved Into Thin Air as well … riveting! I will be very interested to see what you have to say about Fifty Shades of Grey. After seeing all of the press about it and listening to some friends who are reading it, I went to Amazon and read the reviews. Very. Interesting. I have read 17 out of the 52 on my Goodreads challenge. So far so good. At the moment I’m reading Cryptonomicon by Neal Stephenson and I’m really enjoying it. I have just finished Freedom which was in my TRP for a long time. Before I go to sleep is in the middle of my pile. Oooh, what’d you think of Freedom? Great list, Jess! 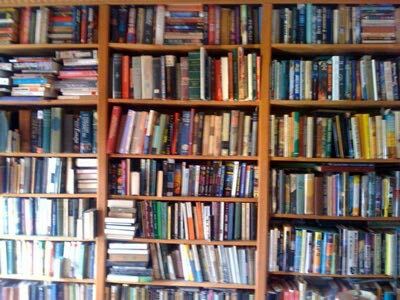 A few of my TBR are there, and a few I’ve read. Like you, I couldn’t put Into Thin Air down. One of the best pieces of non-fiction out there. I might sign up for this! Have you read any other Krakauer, he’s totally climbing the charts on my list. I’m also loving The 19th Wife right now by David Ebershoff. Have fun with the challenge! I want to see your list! Well, you’ve been a busy reader Jess! And you can’t go wrong with Jane Austin, can you? I hear ya on that! Luckily I put a lot of different styles/genres on here. I’ll have another list ready to go next year cause I had just bought a ton of books but their publication dates were too recent. So I may try to get them this year, but if not, I’m adding into next year’s list with: The Kitchen Daughter, Coop, Where’s My Wand?, and She Got Up Off the Couch. I always love posts about books. I’m doing the fifty books fifty movies challenge this year so I’m not going to link up with this one, but it’s a great project/idea. I fully support it in spirit. Um, where do I find out more about YOUR challenge?? ?